Because they are exposed to elements like the weather at all times, it is important to protect your commercial building from wear and tear, ageing, stresses and other issues which can occur. Apex Access Group’s highly skilled and experienced team can provide building protection services using rope access and abseiling. Our services are available throughout the UK. Our building protection services include sealant and mastic works, installing bird deterrent systems and detecting and preventing leaks, all of which help keep your building maintained and functioning. During our building protection services, our teams work to the highest health and safety guidelines and put fall protection systems in place which minimises the risk of working at height. If you have a high-rise office building, commercial building or multi-storey apartment building then you will have a need for your building to be protected and we can provide this protection for you. We will carry out a survey of the premises to discover your building protection needs, and to plan how the work will be carried out safely and efficiently by our skilled team. 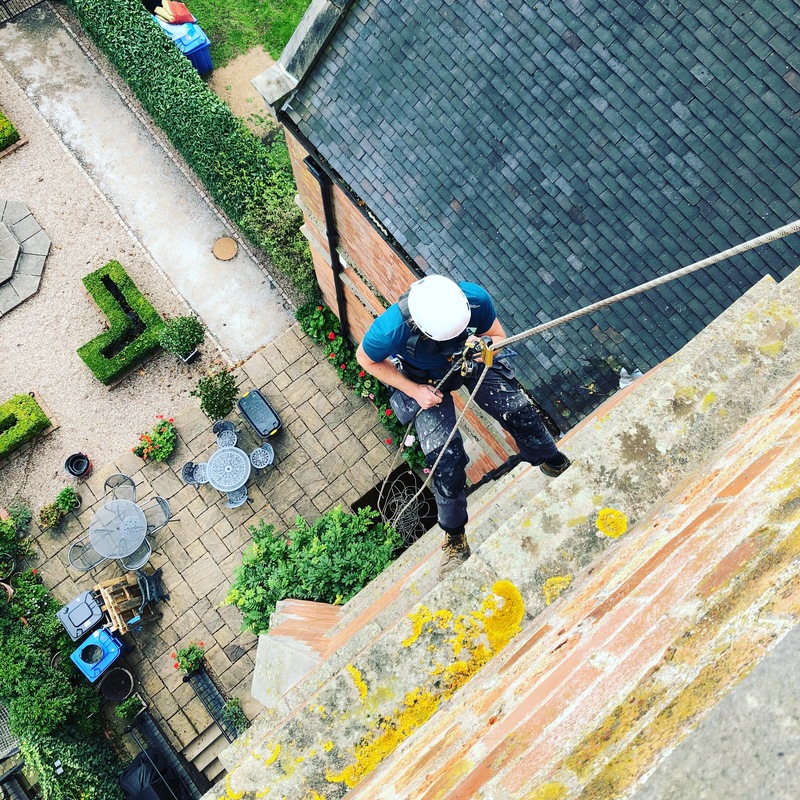 Rope access building protection services have been developed by working at height experts over a 25-year period and is a great solution for adding protection to buildings, even in places which otherwise might be difficult to reach. Acquiring protection for your building using a working at height team is a great alternative to other options like scaffolding or using ladders. Scaffolding takes time to erect and dismantle and takes up a lot of space whereas ladders may mean that some areas are difficult to reach. Our skilled rope access team will be able to carry out building protection services which suit your needs.